Taiwan Adventures is the original and best western owned and operated outdoor adventure company in Taiwan. Our native English speaking guides (from the UK and US) all have years of experience taking hiking groups into the mountains of Taiwan. Let us show you the beautiful wild areas of Taiwan that we’ve come to love. Read more about our upcoming open group hikes! Hiking Taiwan’s high mountains is a world-class trekking experience. Taiwan has the second highest mountain range in eastern Asia. 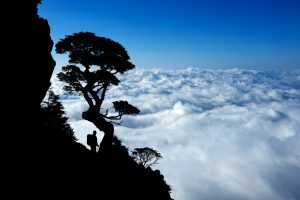 Many of its tall peaks are easily accessible on a weekend trip from Taipei and they offer some breath-taking views and challenging climbs. 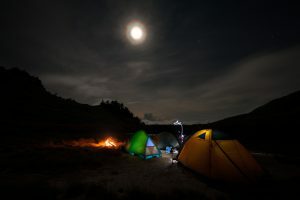 Camping in Taiwan’s lush forests can be an treat for the most rugged outdoorsman, or fun for the whole family. If camping isn’t your thing, comfortable, reasonably priced lodges and hotels are found all over the island. We have a number of hikes that can easily be done in a weekend or extended into multi-day adventures. So get out of the city and enjoy the mountains with us! There are dozens of great day hikes within an hour or two of Taipei City. These are our favorites. Within a very short time, you can be surrounded by lush forest or enjoying a waterfall spa. Contact us about private trips to these beautiful locations. 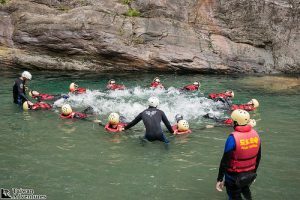 Joining one of Taiwan Adventures’ school trips will not only give students an opportunity to see Taiwan’s outstanding beauty, but also allow them to experience and be inspired by nature. All of our trip leaders are highly experienced, native speakers of English and have spent over 10 years in Taiwan. Native English Speaking Guides… Although all of our team speak Mandarin, we are native English speaking westerners (from the UK and USA) and the predominant language spoken on any hike is English. Custom Service… All our private hikes are 100% customized for you and your group. The person who answers your email will probably be your leader on the hike and will work to be sure everything is as you want it from day one. Knowledge… Together, we have 40+ years of traveling and hiking in Taiwan. We speak the language and know the terrain, weather, and culture. Western Attitude and Experience… We don’t herd our clients like school children. We allow for a bit of independent movement and ideas, and we love to talk about Taiwanese culture. Great Food… We serve a mix of Western and Asian food aimed to maximize nutrition, energy, and morale. We can customize meals to suit any needs and tastes. Safety… All our leaders are Wilderness First Responder (WFR) qualified and carry extensive first aid kits. Taiwan’s mountains are extremely diverse. Crisscrossed with hiking trails, one can experience everything from hot, sub-tropical jungles to snow capped alpine peaks. 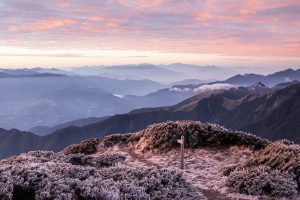 Taiwan has more than 300 mountains that are over 3000m tall, many of which are very accessible with well-maintained trails and basic cabins to stay in. Jade Mountain (Yushan) is the highest mountain in Taiwan and all of Eastern Asia. It stands at an impressive 3952m and is one of the “top 50 most prominent peaks in the world,” meaning that on clear days the view is unbeatable. It is an excellent 2 day hike, suitable for all levels from beginner to expert. Snow Mountain, Taiwan’s second highest peak, is an excellent alternative to Jade Mountain if permits prove difficult to get. 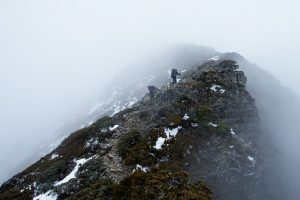 Most experienced hikers in Taiwan will tell you that Snow Mountain is the quintessential two day hike. Its awesome views, varied terrain, and non-technical trail make it a must-do for those in the know. Surrounding Taipei, you’ll find an amazing range of single day hikes. You can challenge yourself on the exciting, exposed spines of Huangdidian or Wuliaojian or take a gentle stroll around Yangmingshan enjoying some of the park’s amazing hot springs. The Sandiaoling Waterfall hike is our most popular, and can be combined with other sights in the area to make it fun for all outdoor experience levels. 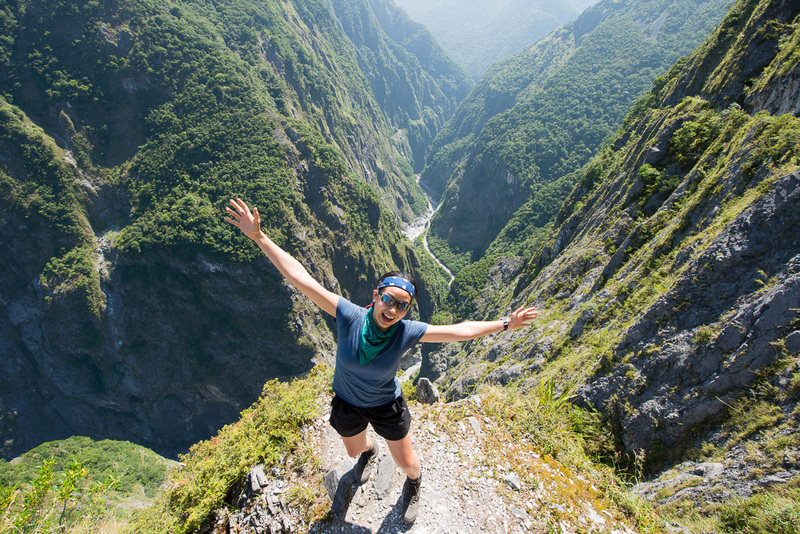 Taroko Gorge is one of the world’s most heart stopping locations. From 1,000m cliffs, crystal clear streams and interesting local culture, Taroko Gorge has something for everyone.